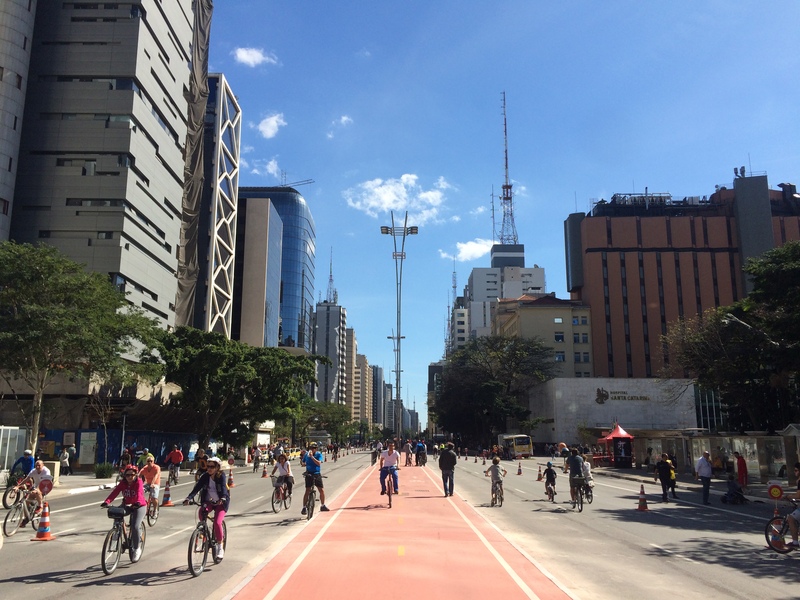 Guest author Otavio Breda takes us for a ride in Sao Paulo and tells his personal story on cycling in South America’s biggest metropolis. Read the other Suicide Cycle Tours here. There is no better word to summarise the experience of someone who gets on a bike in São Paulo than “challenge”. I would feel relieved if those challenges were restricted to the hills that compose the city or to the extremely warm days that rise during the whole year. However, they go far beyond and reflect both the inequalities and the conservatism present in Brazilian society. South America’s biggest metropolis is famous for its business and for the fast flow of money. But this can be a paradox when you are one of its 12 million inhabitants trying to cross the city and suddenly get stuck in a traffic jam or realize the limitation of the public transport system. During decades, the promises of modernism guided mayor’s and urban planner’s decisions to draw large avenues and highways that cut the city from north to south and from east to west. A minority elite who could afford their private cars failed to recognise the demand of a large majority who depends on trains, metro and buses to leave their houses in suburbs to work in the centre. As a consequence, the urban space became a complete chaos. In 2012, Fernando Haddad, from the centre-leftist Worker’s Party (PT), was elected with the striking promise to change this reality. He decided to follow successful programs from many other world capitals and during four years, he implemented more than 400km of bike lanes – expanding the network from 63km to 495km -, other hundreds of bus-only lanes – expanding them from 63km to 500km – and reduced the speed limit of major avenues – decreasing by 52% the number of accidents with deaths caused by traffic in the two largest of them. He also stimulated the use of public spaces, improving sidewalks, encouraging cultural events, installing parklets, and implementing the program called “Ruas Abertas”, or “Open Streets”, whereby avenues, such as the symbolic Paulista Avenue, had their traffic blocked for cars on sundays and holidays, while were opened for pedestrians, skaters and cyclists – in other words, drawing a city for people. For the first time, a mayor challenged the car-centrist ideology that dominates São Paulo’s citizens’ minds and cycling in the city became a political act. Nevertheless, Haddad faced the same resistance that I did when I came back from a one-year exchange program in Amsterdam and tried to convince my friends to go to a party riding a bike. Everyday inhabitants from the wealthiest neighbourhoods – supported by the conservative media – raised their voices to defend their vehicles and to emphasise they were not willing to share their space with bikes and buses. Some of them do not even want a metro station close to their homes. The middle class followed the same road, inasmuch as going to work by public transport or bringing children to school by bike do not provide the same status as doing daily basic routes inside their black SUV’s. Besides, Haddad also lost the support from the lowest class as they were much more concerned with deficits in health and education and as his party failed to overcome the economic crisis in the national level. Based on this, last year a businessman decided to run for the city hall election by the rightist Brazilian Social Democracy’s Party (PSDB) – the same that governs the State of São Paulo and which astonish the population with the slowness to built metro lines. In a constant attack to Worker’s Party, he promised to remove some bike lanes and to outsource others, as well as removing some bus-only lanes, increasing speed limit in some avenues and privatising public parks. João Doria got 53% of votes and for the first time in the city’s history, a mayor was elected in the first round. 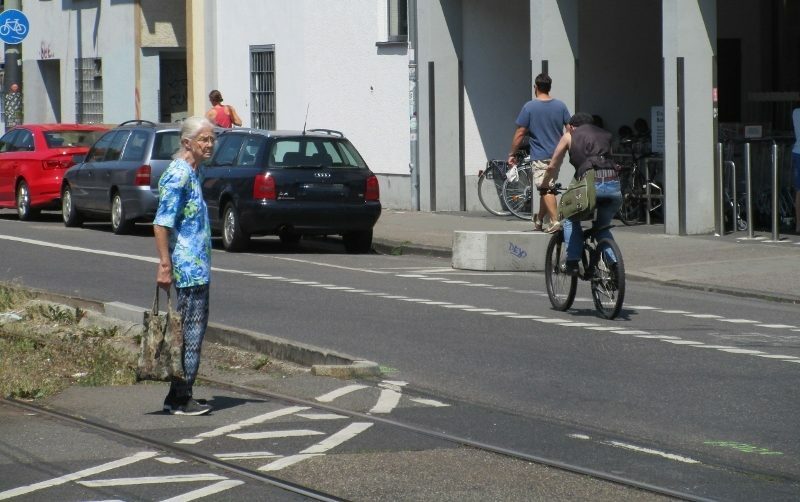 It was already hard to cycle with security and lightening problems, with the limited network of bike lanes, with its poor connection to public transport and with the lack of places for parking bikes. But it became much harder after getting out of social network bubbles and realising that more than half of the citizens that surrounded me were not willing to recognise the damage that cars were doing with their lives. However, São Paulo’s cyclists are not the only people in the world who are struggling against the recent conservative wave in our society. The city is also famous for its activism and resistance, so we will not back down on conquering our space in the streets. As I have aforementioned, biking in São Paulo is challenging, but also extremely rewarding. Whenever you decide to visit the city, do not hesitate to hire a BikeSampa and to cycle between Oscar Niemeyer’s buildings at Ibirapuera Park. 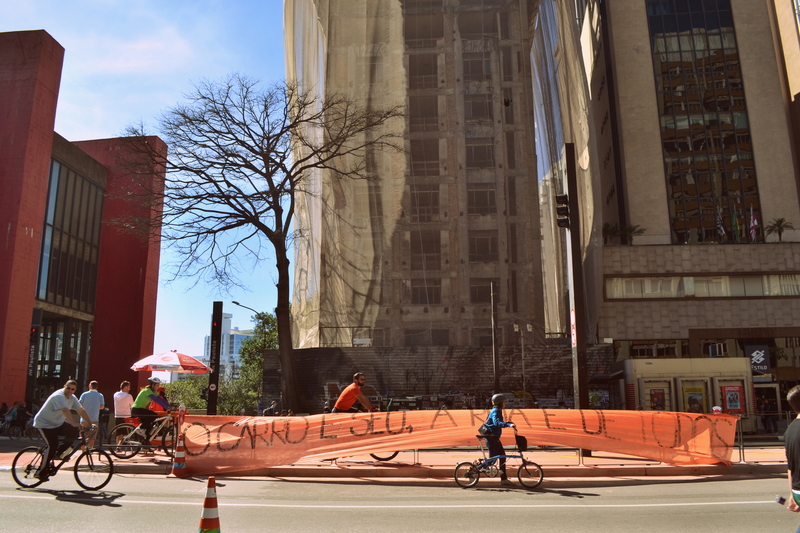 Do not miss cycling along Paulista Avenue, in order to check how busy it can get on weekdays and also how pleasant it becomes when it gets opened on sundays – of course after having a breakfast at Mirante 9 de Julho while facing Lina Bo Bardi’s architecture. Do not forget to head down to the city centre to cycle along São Luís Avenue and Minhocão – a highway that becomes a park on weekends -, to visit Praça das Artes and to have a coffee at Beluga – if you are lucky you can get a Selvagem party at Praça Dom José Gaspar or a techno party in an abandoned building. 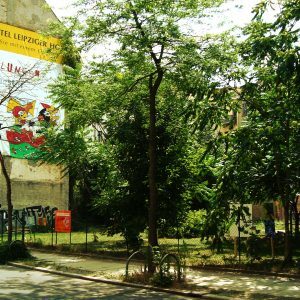 Do not miss to cycle in the neighbourhood of Pinheiros, where you can have a typical Brazilian dish at Feira Benedito Calixto, look at some graffiti at Beco do Batman and then head to the neighbourhood of Vila Madalena to have some beers and to listen to Brazilian music. I am sure that you will not regret to risk yourself in our bike lanes and will get caught by São Paulo’s unique culture and public spaces. You can check the whole network of bike lanes here, and you can download the app for the bike hiring system here. 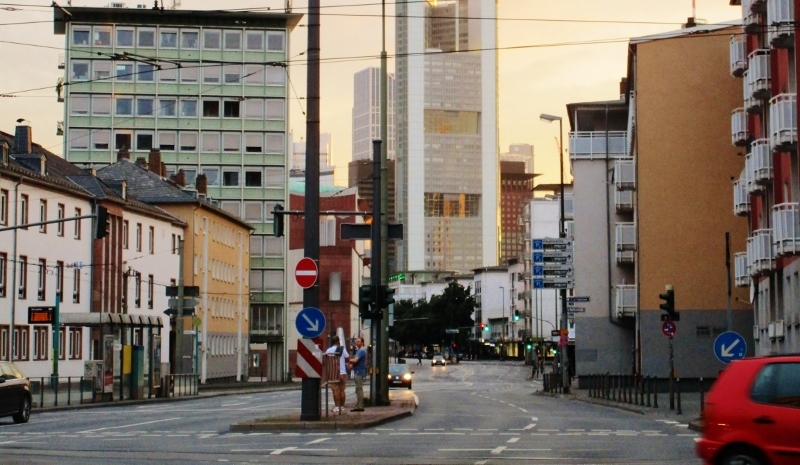 Urban Success in Leipzig: By Coincidence?